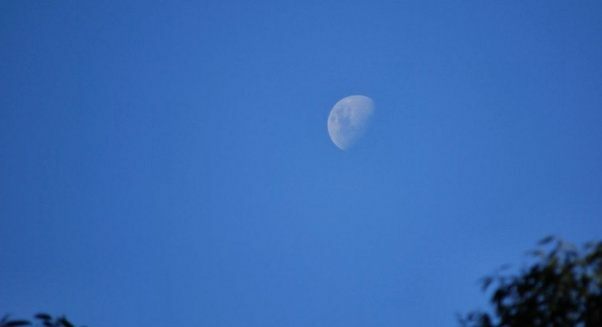 The sight of a pale moon in a clear blue daytime sky is quite a common occurrence. But how does the moon appear during the day? In fact, when the moon is above the horizon, which it is for roughly 12 hours every day, it will be visible in the sky – provided it is a cloudless day. This is because the moon’s visibility depends on the brightness of the reflected light from the sun bouncing off it. Apart from full moon (when the moon rises as the sun sets, and sets as the sun rises), and new moon (when the moon is too close to the sun to be visible), the moon is visible in daylight nearly every day.